Children who are exposed to Domestic Violence need to know that things can change and that the violence can end. Children need our help. We as a community can speak out. Violence in the home can turn a child’s world upside down. Children who are exposed to Domestic Violence need to know that things can change and that the violence can end. We need to let them know that they are not alone and that the violence is not their fault. Love, warmth and attentive care. Children who have a trusted adult to give them good love and support cope better than those who do not. Close, dependable relationships can help children reduce the stress of living in a violent home. Adults who work with children, including teachers, social workers, relatives, and parents themselves, need the awareness and skills to recognise and meet the needs of children exposed to violence in the home and to refer children to appropriate services. Provide support services to meet children’s needs. Responses to children exposed to Domestic Violence should be comprehensive and holistic They need to take into account the range of effects and needs of different children. Children need places to go that are safe and supportive, whether it be with extended family or at a domestic violence shelter. Studies suggest that providing interventions to abused mothers can also have benefits to children, especially where these efforts take into account the specific needs of children. Children need to learn that Domestic Violence is wrong. Children must hear it re-affirmed that Domestic Violence is wrong and learn non-violent methods of resolving conflict. They have to see alternative role models in order to grow up with a positive idea of the future. 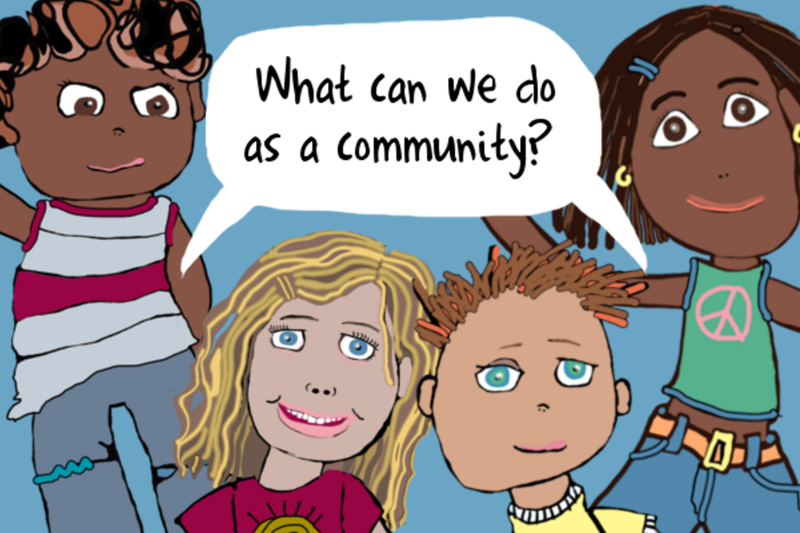 Educational programs that promote positive relationships can prevent violence and reduce harm. These early interventions with children and young people can have a lasting effect on their relationships in the future. Schools are key in the strategy. Children need a sense of routine and normalcy. Routines such as going to school and participating in recreational activities are vital for children’s development and well-being. School-based programs can reduce aggression and violence by helping children to develop positive attitudes and values. Children need to learn and use a broad range of skills to avoid violent behaviour. Other successful programs emphasise conflict resolution, cooperative play and positive role models. We need public education and awareness-raising campaigns on Domestic Violence that focus on its impacts on children and specific ways to address this hidden problem. Speak Out 4 Kids needs the help of the whole community to speak out and advocate for the rights of all children to grow in a safe, loving environment. We need the whole community to come together behind this campaign. 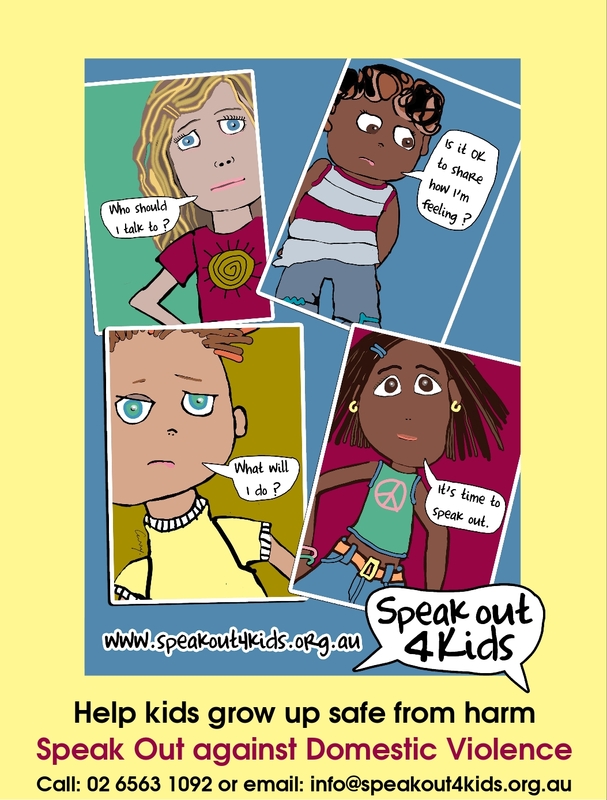 Play your part and Speak Out 4 Kids Now!